RED HEARTS!! Did you know that red is one of the 2 top favorite colors of all people? It is the color of good luck and the most popular flag color in the world! Red is the color of passionate love and seduction and an everlasting beauty classic. These beautiful Red Hearts are so delightful, you just have to have some! Use for glitter nail art and glitter craft projects. 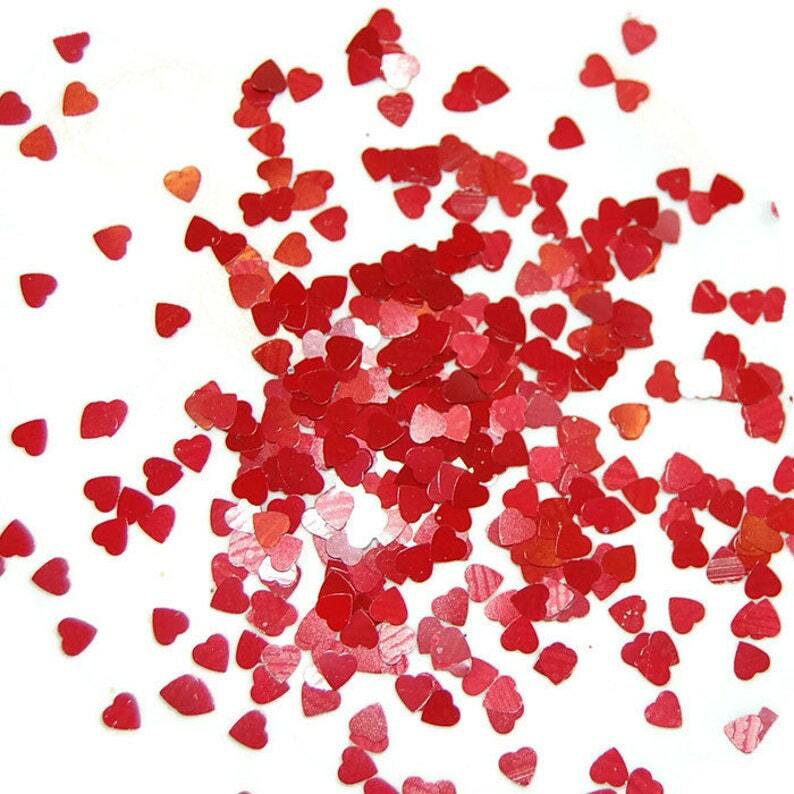 This gorgeous red glitter is perfect for all your sparkly crafting needs. 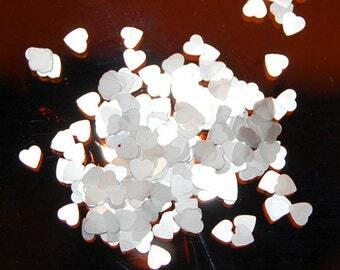 Combine with smaller hex glitter for a fabulous effect! Thank you for looking at The Glitter Source. Check out all our items and kits. LIKE us on Facebook (www.facebook.com/theglittersource) for special previews & discounts. Larger size glitters (0.062 inch and greater) may be susceptible to curling. The Glitter Source recommends that customers who are concerned about curling test the glitter in their nail polish bases beforehand.